Asma, please let me know what is the expectation from this account manager ? Himanshu, very sad to hear this. Why don’t you try in a differnet location ? i am planning to start a small business with a capital between 2-4 lakhs,which mainly concentrates daily users…i am not getting any idea of what to start, i stay in hyderabaad. so,can you please suggest any business which suits me,,i would be very thakful to you. Srikanth, I will give only one idea which can change your life 🙂 What are you hobbies. What is your area of interest. What is that you are passionate about. If some one asks you to do some activity, what is that you can do without tiredness. I work for an IT company. I was like you thinking of 100 business ideas. Finally I choose to run this blog. I work passionately researching various ideas and answering each and every email/comment on this blog. Do reply to this comment in case you found a business idea like this. though of casting business,,,,,does it do great?? A business enterprise is an economic institution engaged in the production and/or distribution of goods and services in order to earn profits and acquire wealth Srikant. The scope of a business is very wide. It includes a large number of activities which may be classified into two broad categories i.e. Industry and Commerce. Production of goods is the domain of 'Industry' and distribution comes under 'Commerce' Srikant. Every entrepreneur aims at starting a business and building it into a successful enterprise. The term 'entrepreneur' means to undertake and pursue opportunities and to fulfill needs and wants of people through innovation. He/she innovates and combines resources in the form of men, materials and money and brings them together to make the business venture profitable. He/she is prepared to take risk and face challenges Srikant. Thus, innovation and risks are the two basic elements of a good entrepreneurship. The whole process of starting a business begins with writing a business plan. 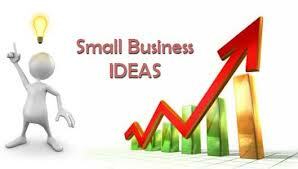 Srikant A good business plan is the key to setting up a successful business. Once a plan is prepared, the entrepreneur faces various challenges while implementing the plan. The Commissionerates or Directorates of Industries are the nodal agencies in different States which assist and guide new entrepreneurs in starting up an industrial unit in the concerned State Srikant. They provide an interface between industry and other agencies for industry inputs and enable the entrepreneur to get different industrial approvals and clearances from various departments at a single point-Single Window Srikant. They sanction incentives to eligible industrial undertakings and create a transparent and automatic system of allotment of scarce raw materials to industrial units.Srikant Hence, a new entrepreneur must approach the concerned commissionerate while setting up a business firm. this is vijay yadav from mumbai, kindly provide your contact details or email id, so we can give you new business proposal. or you can call us on 07498446669/ 02228508444. Good Work Mr. Suresh. I had read your articles on Mutual Funds and now this one. I had been doing business for the past 6 years since April 2007 and I would like to add a few points which may be useful to the readers, I hope you don't mind. a) They must have interest in the field in which they are going to start a business. For example: Mr.Suresh you had mentioned very clearly if somebody asks you to speak about investment for 5 hours, you will do it .. that must be the interest in the field. b) Knowledge: It is very important because without knowing the field, you are more certain that you will lose money. c) Right Investment: I receive lot of mails regarding seeking advice about how to start a business "without" investment. In my experience I am telling you, any business requires the right type of monetary investment without which you cannot do anything. All the best for all new entrepreneurs and good work Mr.Suresh.